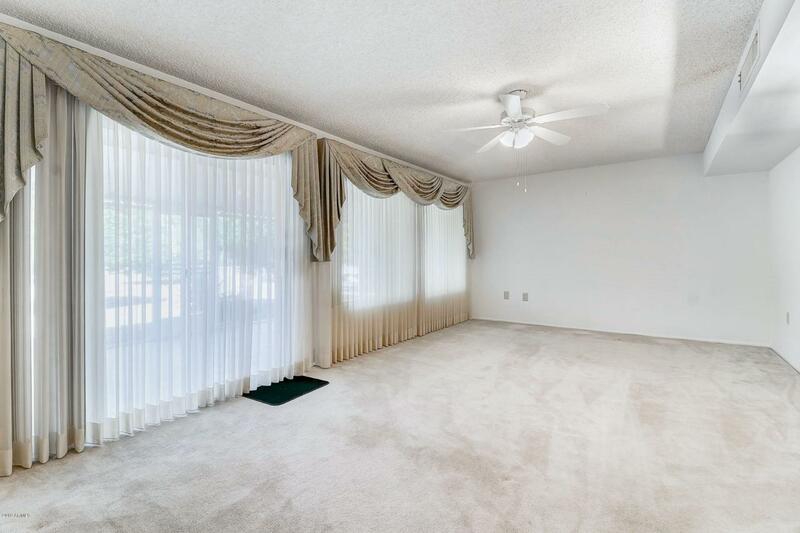 WONDERFUL 3 BEDROOM, 2 BATHROOM STANFORD MODEL HOME ON A CORNER LOT. VERY POPULAR FLOOR PLAN. THIS HOME IS JUST WAITING FOR YOUR PERSONAL TOUCHES. 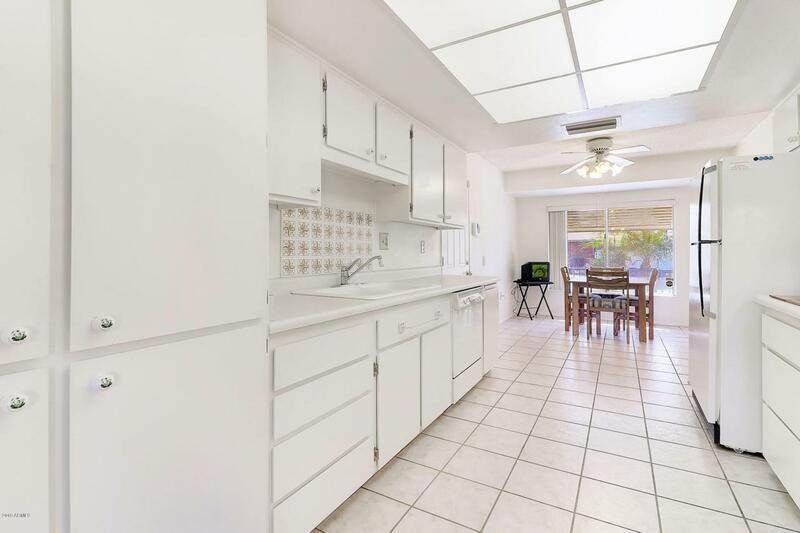 THERE IS A LARGE GALLEY KITCHEN, BREAKFAST NOOK, DINING ROOM AREA, LARGE FAMILY ROOM, A LARGE ARIZONA ROOM, AND A WONDERFUL SCREENED , COVERED BACK YARD PATIO. THE ARIZONA ROOM WAS BUILT BY THE HOME BUILDER. 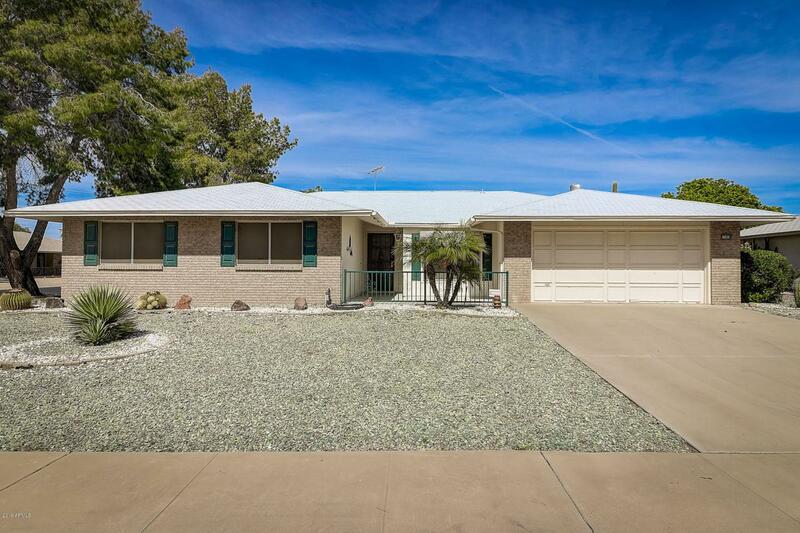 THE LOCATION OF THIS HOME OFFERS EASY ACCESS TO THE SUN CITY RECREATION CENTERS AND GOLF COURSES, SHOPPING, POST OFFICE, ETC. THE CORNER LOT GIVES A GREAT OPPORTUNITY TO ADD ROOM ADDITIONS OR EXTRA GARAGE SPACE WITH A SEPARATE ENTRANCE. PLEASE STOP BY TO SEE IT SOON.